East Ocean • Victoria City Restaurant (Hong Kong Group) established in 1983. In the past three decades, the group is award winning for plurality of large food festivals and competitions. Its outlets are located in Tsim Sha Tsui shopping area, the commercial and cultural district of Hong Kong. After the Group reorganization in 2009, official located in the New Territories East -- Tseung Kwan O and New Territories West -- Tsing Yi in 2011. At the same time, another newly high-end brands "East Ocean Seaview Restaurant" also established in December 2012, stationed in a heavy pedestrian flow -- Tsim Sha Tsui Peking Road for the Group expansion in Tsim Sha Tsui area. “Bases on the best of the Chinese and Western Cuisine to create a stylish cuisine” is the aim of our new brand – East Ocean Seaview Restaurant. 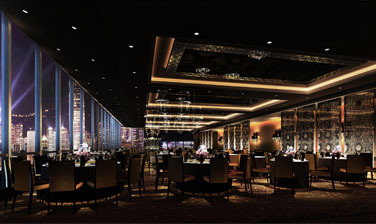 East Ocean Seaview Restaurant is an elegant atmosphere, grand decoration which to attracting the global visitors. In addition to new create dishes, the restaurant is specialize in Chinese nouvelle cuisine, northern and southern dim sum, Cantonese barbeque delicacies, seafood, abalone, shark's fin and crab dishes. The restaurants are renowned for their innovative, superb quality and rich and diverse menu offerings to make a memorable try.